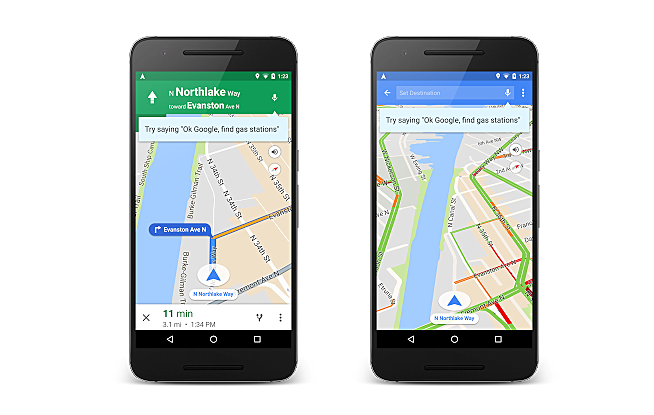 Google has started rolling out a new update to its Maps app on Android that makes it even more useful by allowing you to access all the information you require without even lifting your finger. "The next time you enter navigation mode or driving mode, you can simply say 'Ok Google' followed by a voice command, without needing to tap or even look at the screen," the company says in a blog post. To use the new feature, you need to first activate hands-free voice commands, something which you can do by heading to Settings->OK Google detection and enabling the While driving setting. Aside from queries like "What’s my next turn?" and "What’s my ETA?" you can now ask the app to "Show / Hide traffic," "Mute / Unmute voice guidance," and even "Avoid tolls / highways / ferries." 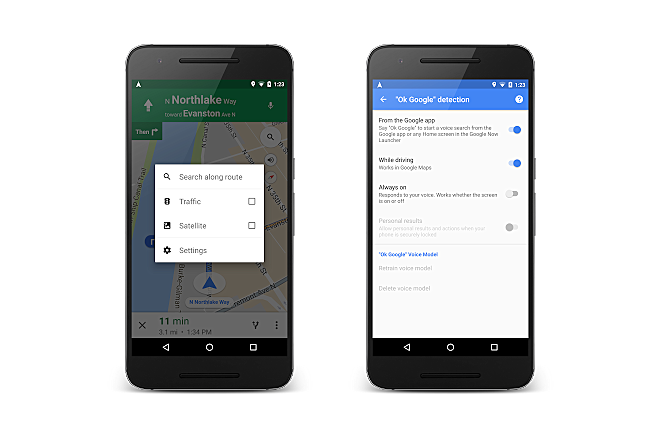 Not only this, you can also put up traffic-related queries like "How’s traffic ahead?" or "Show alternate routes," as well as ask the app to "Send a text" or call one of your contacts. I see. Great app for driving I hope this app would come to Philippines as soon as possible. Man, I need it badly.